This convenient Swan Valley tour is a private tour, so you can see and do whatever you like, and customize the itinerary to suit your interests. 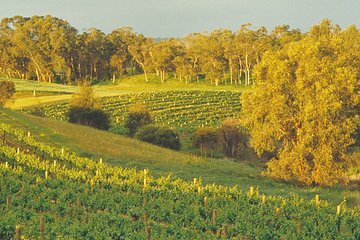 As the Swan Valley is one of the most celebrated wine areas around Perth, you can spend much of the day enjoying food and wine-related activities, like wine tasting and visiting a chocolate factory. Animal lovers can also choose to stop at a wildlife park to check out kangaroos and more. Wine, chocolate, honey, nuts and nougat tasting included. Departure from your hotel, accommodation or cruise terminal. Return to your hotel, accommodation or cruise terminal.